(NaturalNews) In November 2014, an investigation by NBC Bay Area made a shocking discovery when they learned that the oil and gas industry had been dumping, or pumping, billions of gallons of toxic wastewater into federally protected underground aquifers. Until recently, little was known about the liquid mixture of chemicals that are used to crack geological formations in the ground, releasing profitable natural oil and gas. Today, we know that the injection mixture contains over 200 different chemicals, including diesel, biocides and benzene. While previous reports alleged that groundwater contamination caused by fracking was a result of faulty equipment, NBC Bay Area's investigation unveils a deliberate act that is much more sinister. 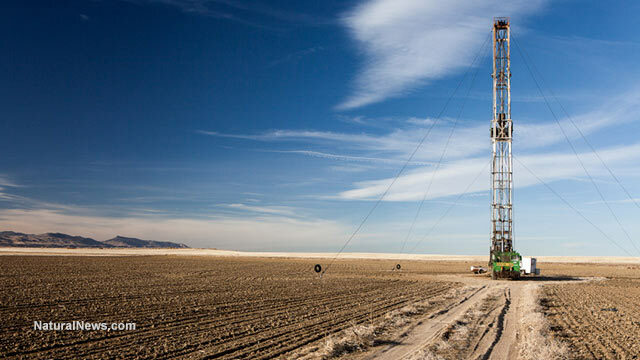 When oil and gas companies frack, they inject massive amounts of water into the ground. Oftentimes, this leftover wastewater is re-injected back into the ground where the oil extraction first took place. But other times, the wastewater is disposed of in nearby aquifers that according to the Environmental Protection Agency (EPA) are "exempt," meaning they're not clean enough for humans to drink or use, according to Jason Marshall, Chief Deputy Director for California's Department of Conservation. NBC Bay Area's initial investigation revealed "that in at least nine waste water injection wells, the waste water was injected into 'non-exempt' or clean aquifers containing high quality water." However, according to California's Water Resources Control Board, a total of 532 injection wells are now suspected of dumping toxic wastewater into protected clean water aquifers. State officials were reportedly allowing oil and gas companies to dump the toxic chemicals into "pristine," federally protected underground aquifers located all over California including near Santa Clarita, Santa Barbara, Fresno, Paso Robles and Los Angeles in addition to Kern County. "For decades, oil and gas companies were permitted to re-inject this wastewater into aquifers that already had higher levels of solids and chemicals in them, what the EPA refers to as 'exempt aquifers,'" reports NBC Bay Area. Now, it's been revealed that state regulators issued permits to oil and gas companies allowing them to inject that same wastewater into aquifers that were considered "non-exempt" by the EPA. These "non-exempt" aquifers are an incredibly important resource for a state that's 100 percent categorized as at least "Abnormally Dry," with about 93 percent of the region still in a "Severe Drought" zone or worse. The clean, high-quality aquifers that could've been used for drinking water, to water animals and as irrigation are now potentially damaged beyond repair. "It's inexcusable," said Hollin Kretzmann, with the Center for Biological Diversity in San Francisco. "That's a huge concern and communities who rely on water supply wells near these injection wells have a lot of reason to be concerned that they're finding high levels of arsenic and thallium and other chemicals nearby where these injection wells have been allowed to operate." In a letter to California's environmental agencies, the EPA demands that the state put a halt to this practice and bring the program into federal compliance by February 15, 2017. No one really knows how much damage has already been done, and how much more will be done over the next two years. State officials admit that testing shows that some drinking water wells located near the injection sites contain "higher than acceptable" levels of toxicants including arsenic, nitrates and thallium, but they maintain that the presence of such chemicals are not a result of fracking.